I’m telling you this because I want to remind you all that the absolute best way to help me out is to spread Fritz around. Share it with your friends, talk about it, reblog/retweet/rewhatever it! It really means a lot to me when I see the comic getting around, even more so when people start talking about it. So, if you want to help support me, but can’t chip in financially, that is the best and easiest way to do it. Thanks so much, and I hope you’re ready for Chapter Eleven: Forced to drive! Just read through the whole archive today, I think this comic is a delight. It’s very emotionally charged. It hits a little too close to home for me, honestly… which is both a good thing and a bad thing! I empathize with Eddie a lot. I’ve been there. Anyways, not gonna get all feelsy here. Keep up the amazing work. 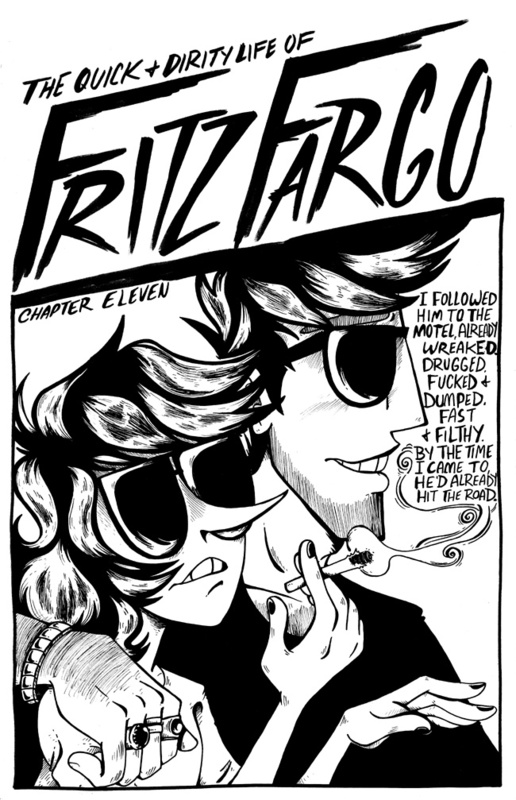 ive been keeping up with fritz ever since i started reading it!! every update is so wonderfully drawn and also just, wrecks me emotionally. im sorry the pitch didnt go well, id love your audience to grow! I really look forward to see how this next chapter all works out. Even took the pleasure of reading all the way back from the beginning and all the way to where we are now. And will probably do it again. Keep up the awesome work! I just bought HEAD, and I gotta say it was REALLY GREAT. If you ever plan on drawing more NSFW side-comics for Fritz, I will definitely be buying. Your art is so good, dude.